Fr. D. Vincent Twomey, a former doctoral student of Joseph Ratzinger and long time friend of the Pope, felt the need to respond to the common question he heard often after the papal election, –What kind of person is the new Pope?” So often Twomey had read false depictions of both the man and his thought, especially the image presented by the media as a grim enforcer. Twomey offers here a unique double®presentation of the man, Pope Benedict XVI ã a –theological portrait” that encompasses both an overview of the writings, teachings and thought of the brilliant theologian and spiritual writer, as well as the man himself, and his personality traits and how he communicates with others. Twomey shows that the secret to the serene dignified behavior of Benedict is that he is open to beauty as much as truth, that he lives outside himself, and is not preoccupied with his own self. He also is a man that Twomey says –has the courage to be imperfect”, showing he has a deep humility and strives for teaching the truth even when misunderstood or not presented as well as he would like. Fr. D. Vincent Twomey, S.V.D., holds a PH.D. in Theology and is a Professor of Moral Theology at the Pontifical University at St. Patrick's College in Ireland. He is the author of several books including his most recent acclaimed study on the state of Irish Catholicism, The End Of Irish Catholicism? 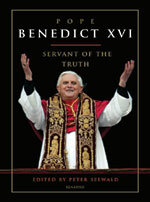 New Book by Pope Benedict XVI Reveals a Pope Who Continues to Surprise People Benedict XVI continues to astound people. In Cardinal Joseph Ratzinger, they were told, the world was getting "God's Rottweiler" as Pope. Now, after Benedict's first encyclical, Deus Caritas Est or "God is Love", many people are wondering if he isn't really the "Love Pope." God's Revolution by Benedict XVI (Ignatius Press, 2006), the collection of his World Youth Day talks and other addresses in Cologne, only adds to the amazement. Thoughtful readers will discover in its author far more than they bargained for. It's August, 2005. The newly elected Benedict XVI returns to his homeland, Germany, for World Youth Day-the spectacular event created by his popular predecessor, Pope John Paul II. All eyes are on the German pope in Cologne. "Will he relate to young people as John Paul II did?" The zealous loving welcome of more than a million young people provides the answer. 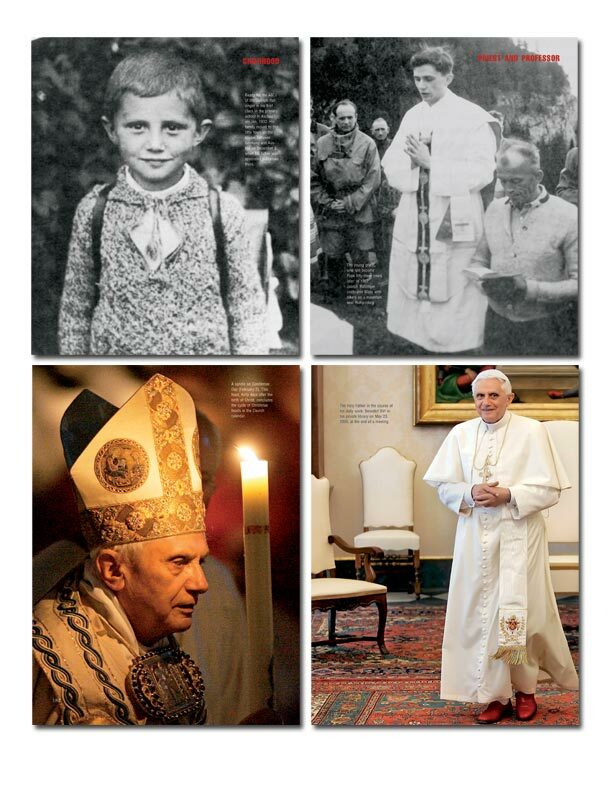 Benedict XVI pulls it off-in his own way, with his own style, without missing a beat. His encounters with young people are magical, even mystical. His messageãa straightforward presentation of the Christian faith aimed at answering the perennial questions of young people: Who am I? Where am I going? Is there Someone who can help? How can I make a difference in the world? Benedict XVI's answers to these questions all point to Jesus Christ and his teaching. He urges young people not to think that following Jesus requires abandoning anything of real worth. "Christ takes from you nothing that is beautiful and great," he declares. He dares young people to become "radicals"-to be part of "God's revolution." To commit themselves without reservation to Jesus Christ. "Only from God does true revolution come," he declares, "the definitive way to change the world." "It is not ideologies that save the world, but only a return to the living God, our Creator, the guarantor of our freedom; the guarantor of what is really good and true," Benedict says. But God's Revolution also warns against abusing faith in God: "There are many who speak of God: some even preach hatred and perpetuate violence in God's Name. So it is important to discover the true face of God." "In Jesus Christ," the Pope declares, "who allowed his heart to be pierced for us, the true face of God is seen." God's Revolution isn't only for young people, for Catholics alone or even only for Christians. Benedict XVI's thoughtful and inspiring messages to the Jewish and Muslim communities in Germany are included. Speaking in a synagogue in Cologne, Benedict urges Jews and Christians to grow closer to one another. He recalls the horrors of the Holocaust and warns against "new signs of Antisemitism." As he commemorates the sixtieth anniversary of the liberation from the Nazi death camps, the Pope's words are especially poignant: as a teenager, Benedict XVI was forced to join the Hitler Youth, against his will and that of his anti-Nazi parents. Benedict speaks to representatives of Muslims in Germany of the common faith in one God that Christians and Muslims share. He acknowledges how some Muslim leaders have rejected terrorism. Yet he adds: "Those who instigate and plan these attacks evidently wish to poison out relations and destroy trust, making use of all means, including religion, to oppose every attempt to build a peaceful and serene life together." God's Revolution also addresses Protestant Christians. Coming from the land of the Reformer Martin Luther, Benedict knows Protestant concerns. He presents Catholic teaching in a way that underscores Catholics and Protestants' common Christian commitment. "Together we confess that Jesus Christ is God and Lord," he states, "together we acknowledge him as the one mediator between God and man (cf. 1 Tim 2:5), and we emphasize together that we are members of his Body." To the German Catholic leaders he urges renewed efforts to present Christ and Christianity to the modern world. While challenging them to respect people's search for the truth, the Pope call on them to be true to the Christian message: "We must teach patience, discernment, realism, but without false compromises, so as not to water down the Gospel!" He asks the bishops to find new ways to address young people, the future of the Catholic Church. In short, Benedict XVI issues a clarion call for all people to join "God's Revolution." 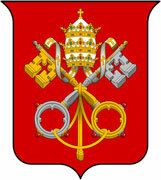 Some key issues raised by God's Revolution: « Where is Benedict XVI taking the Catholic Church? « What is the Pope's view of religion's place in the modern world? « Youth and the future of the Catholic Church « Do Catholics think Jesus is the only Savior? « Catholic-Evangelical Protestant Relations « Has an "intolerant, dogmatic" Joseph Ratzinger changed into a sympathetic, fair-minded "Benedict XVI", the "Love Pope"? « Catholic-Jewish Relations « Christian-Muslim Relations « Is Christianity a "religion of rules" or a "way of love"? This is a glorious volume from Joseph Ratzinger,(now Pope Benedict XVI), who pays tribute to his predecessor, mentor and close friend, Pope John Paul II. As Cardinal Ratzinger he was the closest Vatican prelate to John Paul II, working together with him for almost 25 years in the Vatican. When John Paul died, the world saw Cardinal Ratzinger speak so beautifully and eloquently at the pope's funeral, then at the Mass preceeding the Papal Conclave. 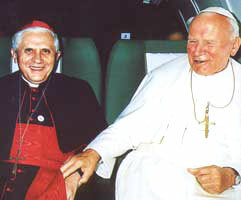 Soon afterwards, the College of Cardinals quickly elected Ratzinger as John Paul's successor. This book unites these two great spiritual leaders in one powerful, deeply moving volume, complete with over 100 pages of truly inspiring, unique photos by Vatican photographer Giancarlo Giuliani (many never before published) of many striking and poignant moments of the pontificate of John Paul II as he traveled around the world. Ratzinger shares his many personal experiences and insights about this pontificate that changed the world. Illustrated. Learn more about Pope Benedict! Visit the Works of Benedict XVI "A Pole and a German; a philosopher and a theologian; a great public personality and a shy scholar; a close collaboration and a deep spiritual friendshipãone looks hard in the history of the Catholic Church to find a partnership so consequential for the faith and for the world as the partnership of Karol Wojtyla, Pope John Paul II, and Joseph Ratzinger, now Pope Benedict XVI. Both men sacrificed the lives they loved for an office and a service they did not seek. 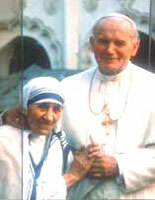 Both did so out of the greatness of their souls and the depth of their faith. 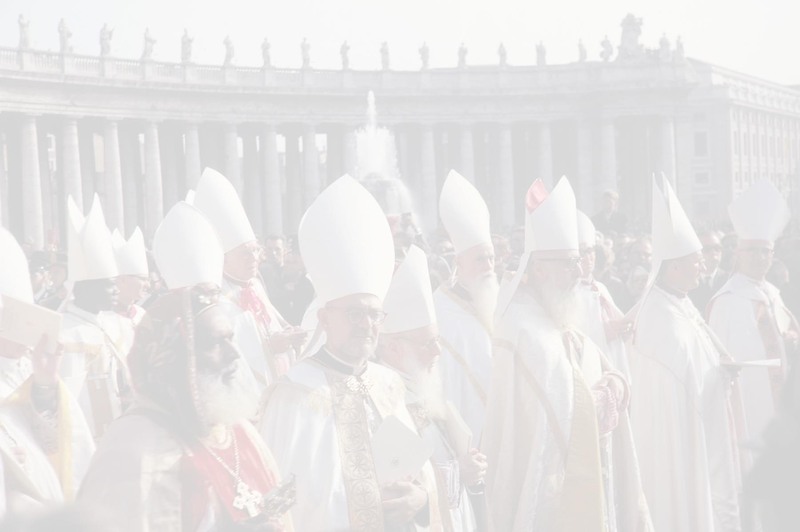 Pope Benedict's tribute to his extraordinary predecessor is both testimony and pledge: a testimony to the depth of human brotherhood that friendship with Christ makes possible, and a pledge to continue, extend, and deepen the witness of the Office of Peter." Cardinal Ratzinger, since 1981 the Vatican's doctrinal watchman, has never granted a broadcast interview in English®until now. 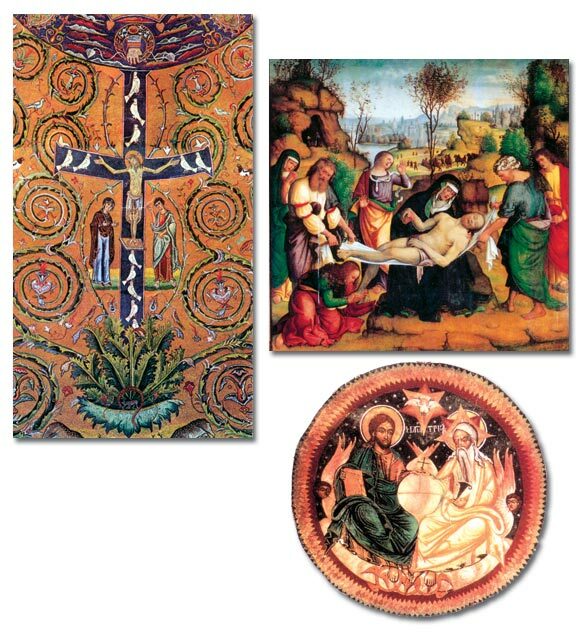 The Second Vatican Council says, "We ought to try to discover a new reverence for the Eucharistic mystery. Something is happening that is greater than anything we can do. The liturgy is the summit toward which the activity of the Church is directed; it is the font from which all her power flows." This profound statement about the Eucharist stands at the center of this book by Cardinal Ratzinger. He compellingly shows us the biblical, historical, and theological dimensions of the Eucharist. The Cardinal draws far-reaching conclusions, focusing on the importance of one's personal devotion to and adoration of the Blessed Sacrament, for the personal reception of Communion by the individual Christian, as well as for the life of the Church. For Ratzinger, any transformation of the world on the social plane grows out of the celebration of the Eucharist. He beautifully illustrates how the omnipotent God comes intimately close to us in the Holy Eucharist, the Heart of Life. "Not only does the Cardinal shed his customary theological light on many subjects, but as he does in other books, he applies his insights very directly to Catholic life and devotion. Coming at this time, this book is part of the effort of many to see the Eucharist restored to the center of Catholic piety and devotion." ãFr. 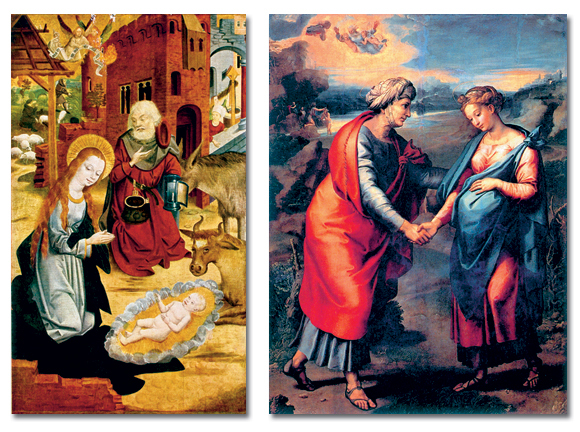 Benedict Groeschel, C.F.R., Author, The Rosary: Chain of Hope Joseph Cardinal Ratzinger, the Prefect of the Congregation for the Doctrine of the Faith, is one of the most renowned Catholic theological and spiritual writers of our times. 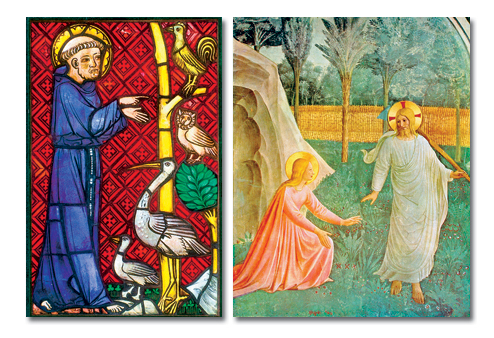 His numerous books include God and the World, Salt of the Earth, and The Spirit of the Liturgy. In 1996 Joseph Cardinal Ratzinger granted an unprecedented in-depth interview to German journalist Peter Seewald on the controversial and difficult issues facing the Church in the Third Millennium. In the course of the interview the German Cardinal destined to become Pope Benedict XVI shares the intimate details of his own life including his upbringing and family life, seminary studies, being a professor of theology and important ñperitiî at Vatican II, becoming a bishop and Cardinal, and finally Pope John Paul IIÍs top authority on doctrine as the head of the Congregation for the Doctrine of the Faith. He then reveals his position on divorce, celibacy, contraception, abortion, womenÍs ordination, ecumenism and most importantly talks about the challenges and hopes of the future of the Catholic Church„the Church which today comes under his leadership as the 265th Roman Pontiff. Dramatically read by Dr. Frank Kelly as Cardinal Ratzinger and Matthew Arnold as Peter Seewald, Salt of the Earth is essential listening for anyone who desires to gain genuine insight into the mind and heart of our new Holy Father. Habemus Papem!